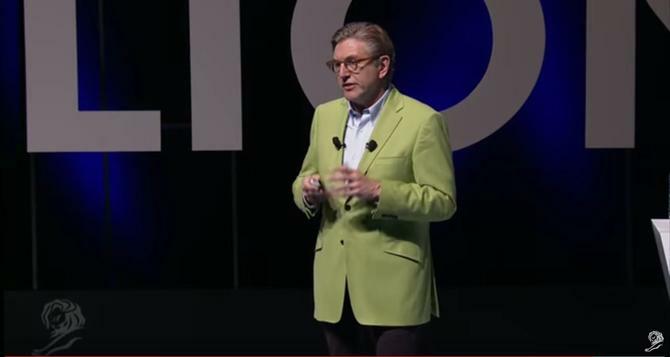 The role of the CMO is a balancing act between chief macro officer one day, and chief micro officer the next, Unilever’s CMO, Keith Weed, claims. Speaking at the Cannes Lions 2016 Festival this week, Weed emphasised the need for the marketing function to factor in both the data/technology and creative aspects of reaching consumers in order to bring together the “magic with the logic”. And this requires a combination of broad activity and hyper-targeted engagement, he said. “The role of the CMO has changed immensely. It’s gone from being a chief macro officer, and wanting to have a relationship with people but doing it on a broadcast basis… to being a chief micro officer, understanding individuals in each and every place around the world,” Weed said. Weed’s formula for achieving this is “I to the power of N”, where I equals individuals, influencers and impacts, and N accounts for the endless numbers of people brands can address using these tactics through technology. When it comes to addressing individuals, Weed advocated a combination of mass targeting and mass customisation. As an example of macro, he pointed to the group’s Axe grooming brand (Lynx in Australia), which has been focused on engaging with young men around engaging with a partner. To reposition the brand, the Unilever launched a video campaign which has now been viewed by 76 million people. Unilever will continue to carry on doing these types of well-established activities at scale. In contrast, an Axe campaign that focuses at a more micro level is a campaign out of Brazil, called ‘Romeo Reboot’, which retells the story of Romeo and Juliet. This capitalises on the power of data and programmatic targeting to speak to individuals, Weed said, by targeting the creative message. “If we can target our media better, why can’t we target our creative better and use what we learn about individuals to target creative in a better way,” Weed said. More than 100,000 versions of the Brazilian campaign have now been viewed, he said, resulting in a 170 per cent increase in retention. On the influencer front, Weed noted influencers are not a new component in the marketing mix. What’s changed is the ability to gain scale through influencers, he said. An example is the influencer program around Magnum Double, which tapped into Kendall Jenner’s following to magnify campaign activities. He also suggested flagged the rising numbers of “power users” and brand advocates as key influencers worth tapping into. “Purchase intent goes up 5.2 times if you use influencers – you’re magnifying your message,” Weed said, quoting recent Twitter research. In addition, 49 per cent of us would act on a recommendation of an influencer, just a few points shy of our friends and family. Impacts is about supporting a message that extends beyond our company’s products and services, through purpose and sustainability, listening to what consumers want and getting rid of stereotypes, Weed continued. He highlighted campaigning brands and Unilever’s work around eliminating deforestation as an example of how corporate brands can work to make a difference in a way that also makes economic sense for them. Product brands can also do this too, and Weed pointed to Ben and Jerry’s work around climate marches as another example of branding with purpose. This work has inspired internally as well as externally, and provided more than 350 million digital and PR impressions along the way, with an 11-point brand lift on social media, he added. “If we look at our sustainable living brands and analyse them at a growth level, these brands grew faster in 2015 than they did in 2014,” he said. “What’s exciting is they delivered nearly half our growth... and 30 per cent faster than the rest of our portfolio. Weed said marketers used to pride themselves as being ahead of consumers.